An unofficial shadow office "stocked with Obama loyalists" is quietly working in Washington, D.C. to carry out the previous administration's science agenda. The group of science experts who left the White House Office of Science and Technology Policy (OSTP) after President Donald Trump took office "is informal yet organized," according to a report from the health-oriented news website Stat. Members of the new group—which numbers in the dozens—have provided counsel to Democratic lawmakers on Capitol Hill, consulted with scientific societies, and have held group-wide strategy sessions, according to Stat. They have also helped analyze the impact of White House budget proposals and policies, including the decision to withdraw the United States from the Paris climate accord. The former officials have remained engaged out of a so-called "sense of necessity," according to Stat. They view Trump as a threat to science, a stark contrast from the self-described "science geek," former President Barack Obama. "There was no chance that this team was going to go work only in Silicon Valley or for lobbying firms," a former staffer told Stat. "A lot of people feel a sense of personal responsibility to use what we learned for the greater good at a time when the federal government is averse to things we think are really important." The group's members see themselves as the true purveyors of science in the face of the new administration waging what "feels like a frontal attack" on science, according to Stat. Tom Kalil, a former deputy director for technology and innovation at OSTP and a top science and technology adviser on former President Bill Clinton's National Economic Council, argued how disagreeing with the Trump administration goes beyond partisan policy disagreements. "I think there are just more instances in which there seems to be a willful disregard for the facts," Kalil said. The former OSTP staffers said they are "simply worried about the future of science policy," noting Trump's proposed budget cuts, Stat reported. "What policy process resulted in the Trump administration thinking the NIH needed less money?" asked former OSTP staffer Kumar Garg. "Was OSTP at the table?" Roughly 100 staff members from the Obama administration have left OSTP since January. The Trump administration has added only "about 10 new members" since then, according to an administration official who was not authorized to speak on the record. Even once a planned OSTP expansion is complete, the office will have roughly 60 employees, equivalent to its size under former President George W. Bush but a far cry from the 135 or so employed as recently as December. Trump's approach to OSTP contrasts with the Obama White House, an office that announced it would appoint John Holdren as OSTP director and special assistant to the president for science in December 2008, a month before Obama even took office. In contrast, Trump has not appointed a top science adviser. The Trump administration argues it is approaching scientific issues differently than the Obama administration. A Trump administration official said the office has received less attention because other "power centers" in the administration have emerged to lessen its role, especially on the technology side. Those centers include the Office of American Innovation, led by Jared Kushner, and 18F, the startup-inspired wing of the General Services Administration. At the same time, the administration has taken steps to restaff OSTP. Michael Kratsios was hired as deputy chief technology officer. Kratsios previously served as chief of staff to Peter Thiel, the Silicon Valley mogul who helped select Trump's health staff during the transition. Sean Bonyun, a former communications staffer for Rep. Fred Upton (R., Mich.) and the House Energy and Commerce Committee, was brought in as legislative lead. In July, an OSTP official said there were 35 employees in OSTP, and 12 employees in the department's science division, the Hill reported. 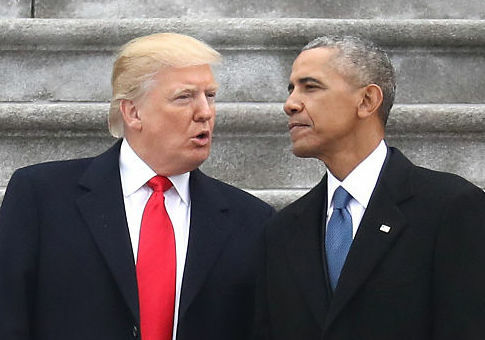 The official said the division is organized and divided differently under the Trump administration compared to the Obama administration. The approach would be consistent with the Trump administration's vocal efforts to reduce waste and inefficiencies in the federal government. Nonetheless, the different approach has not quelled the fears of former OSTP staffers. They will reportedly continue to operate quietly to further Obama-era policies. There are ethical and legal restrictions over what former science officials can do, and many former staffers are wary of making too big a splash, Stat reported. "I've tried to keep a low profile in terms of my volunteer policy work," said one former OSTP official who spoke to Stat on the condition of anonymity. "If I'm advocating for something as a former Obama official, it might not be particularly effective." This entry was posted in Politics and tagged Barack Obama, Obama Administration. Bookmark the permalink.